The poverty reduction agenda in Afghanistan has reached a critical stage. It continues to be at risk of being enacted in response to a simplistic and apolitical understanding of poverty as an individual material condition. It pays no attention to the societal factors that make and keep people poor. 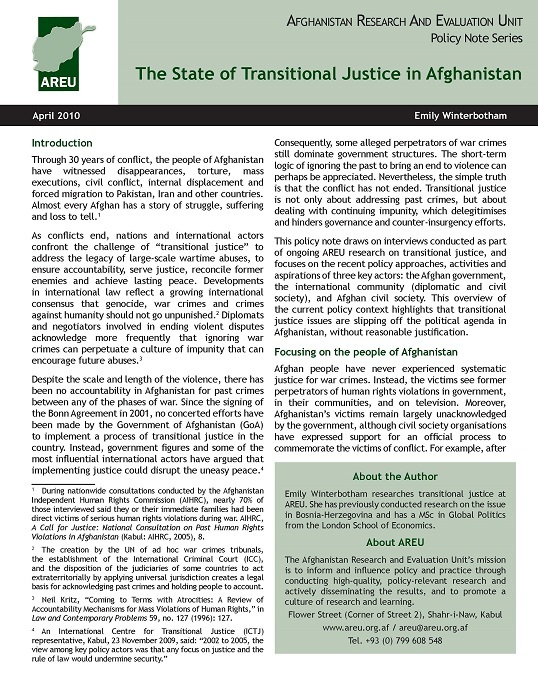 The Afghanistan National Development Strategy (ANDS) exemplifies this through a poverty analysis that mainly describes the condition of poverty instead of understanding how the different risks and insecurities households face—including those associated with how institutions work and who can access them—create and sustain poverty.